If you just want a to try it, then you can download an example application (googleMapping.xlsm) and come back here later. 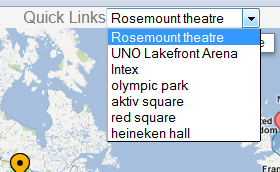 First you should take a look at Adding markers to Google Maps from Excel since this is just an enhancement of that. 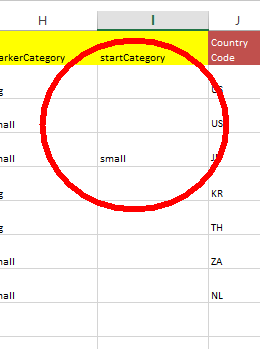 You will also see that the geoCoding Parameter Sheet needs to know the name of these columns if you are going to use filtering. You can change the column name to a list of columns that you want to filter on. Selecting a category will hide all the markers apart from those belonging to the filters selected. The filters are additive. If you want to start with a particular category selected, you can add a column to your data that looks like this. The first category name it comes across in this column will be the one on which it opens the map/ Note that if this applies to only the first of your category filters (you may have multiple). A bounding box attempts to set an appropriate zoom level for the data being shown - here is the code.